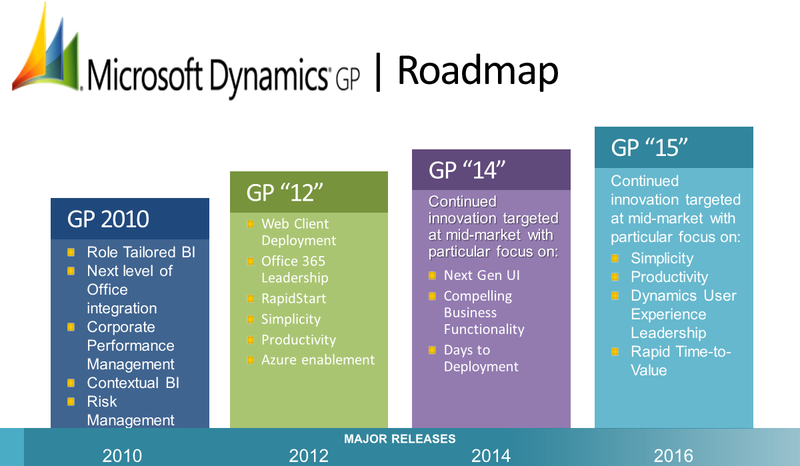 DynamicAccounting.net: The Dynamics GP Blogster: Microsoft Dynamics GP Roadmap Update - Welcome codename GP "15"
Mariano shows off the Welcome codename GP "15". I’m not greedy. We can call code name ‘12’ Gomez. I’ll take ‘Polino’ as the new code name for GP ‘14’. Heck I’ll take ‘15’ and we can call ‘14’ version ‘Pam’.